Welcome to Firebirds Collective, the first global online advanced Toastmasters Club. 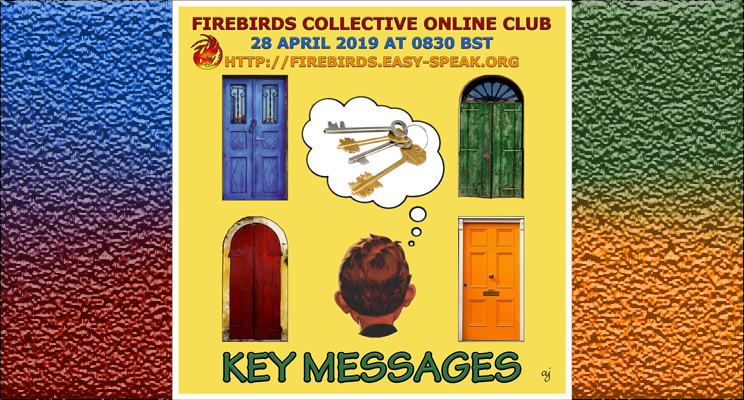 Below you'll find out more about our vision and mission, future meetings and some of the upcoming themes for Firebirds Collective. We would love to have you join us at one of our upcoming club meetings. You can find out more about how to do just that in the Getting Started at Firebirds Collective article. We look forward to speaking with you online soon! We are the global leaders in online communication and leadership excellence. To grow global leaders and communicators through practicing, collaborating, mentoring and modelling excellence. What success stories do we have? WATCH THIS ONE MINUTE VIDEO!